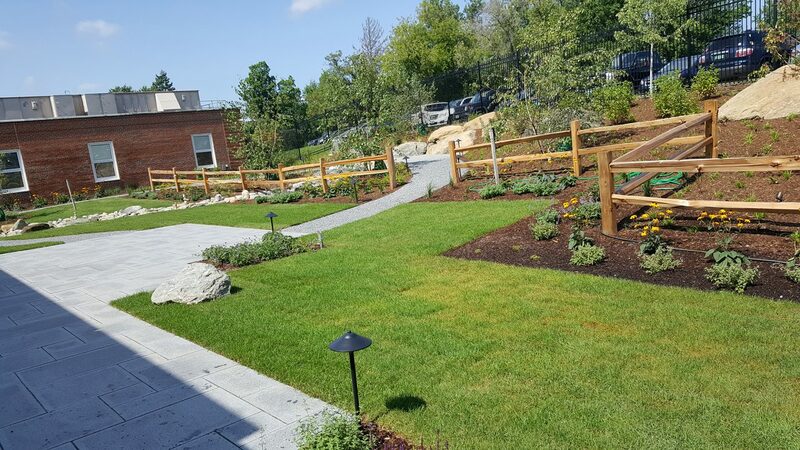 A new healing garden has been completed as part of the most recent renovations at the Northwestern Medical Center in St. Albans, Vermont. 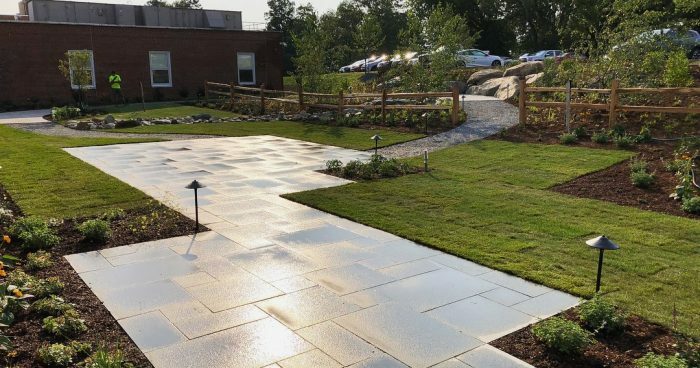 The outdoor space was commissioned by the Medical Center to provide a location where patients and visitors can enjoy nature, feel secluded, and reflect outdoors. Pollinator-friendly plants that help attract butterflies, bees, and other wildlife to the garden, including Echinacea, Sedum, Penstemon, Milkweed, and a variety of grasses. 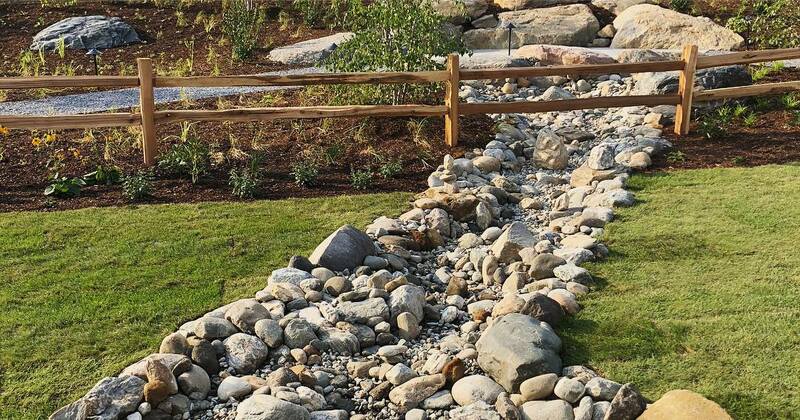 Landscape lighting including path lights and accent lights on trees and boulders so patients can enjoy the garden in the dusk/evening hours. A variety of large, flat patio areas where patients can relax and chat with family or friends. 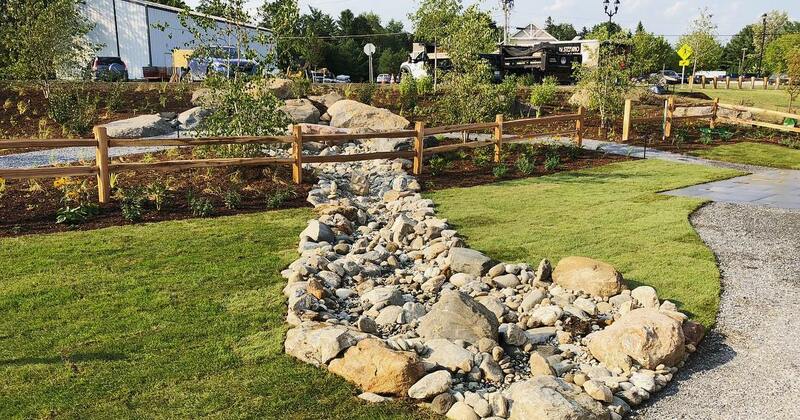 The garden is just one of few healing gardens throughout the state and is innovative in its use of hardscaping, community planting, and natives to make it feel like you’re in a Vermont backyard. We can’t wait to capture the beauty of the garden throughout the winter months and next season as all of the plants grow in.